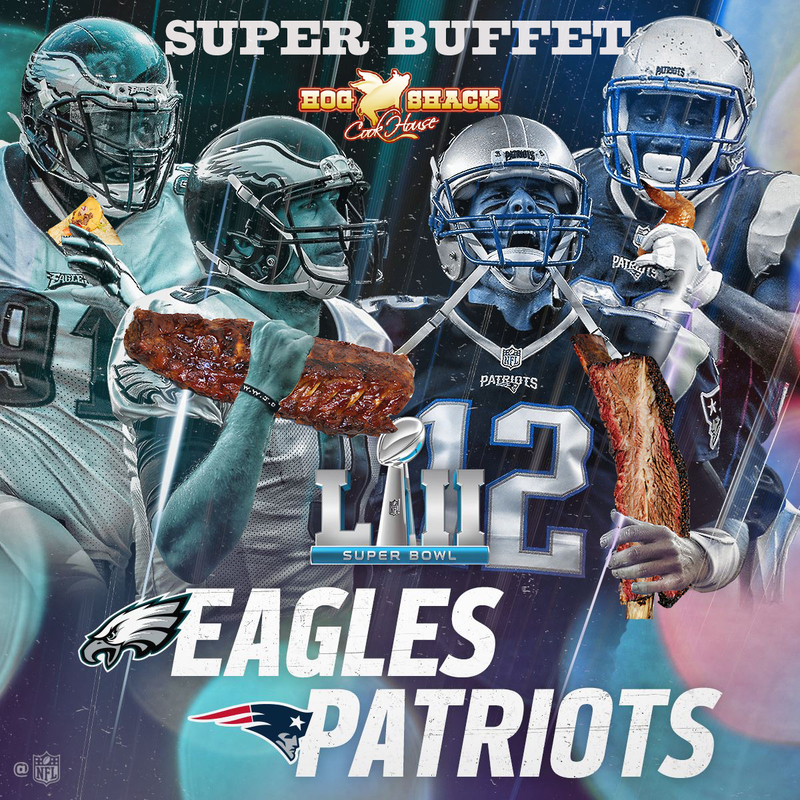 Join us for our annual SUPER BBQ buffet. FEBRUARY 4th, 2018 3:30PM. Mounds of brisket, ribs and pulled pork and some surprise menu items with a slew of sides and treats! You know how we like to throw it down! Buffet starts at 3:30PM SHARP and we will serve until the end of half time. We will start you with rounds of appetizers to build up to our main feast. Let’s see how much you can put away! EVENT IS SOLD OUT!!!! TRY US AGAIN NEXT YEAR!